On March 27, something big is happening at Rutgers. supporting every Rutgers school and program imaginable. Now, think bigger—the entire Rutgers community making an impact that will transform the future for generations to come. One day, a world of impact. How will you think bigger? For the last 25 years, the Bloustein School has provided its students with the opportunity to understand the important role of planning and community design in public health, and the role of public health in planning and policymaking processes. Bloustein School students benefit directly from your support of the Academic Excellence Fund through scholarships, enhancements to academic programs, research, and more. With more than 5,000 alumni across the United States and around the world, Bloustein School alumni can make a difference. 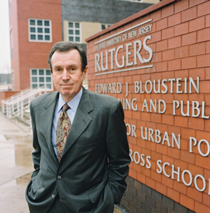 The Edward J. Bloustein School, with its urban planning program ranked in the top 10 in the United States, and its public policy program recently accredited, serves as Rutgers University’s premier center for the theory and practice of planning and public policy. The school supports a wide variety of educational activities, including undergraduate programs, master’s degree programs, and doctoral degree programs, as well as outreach programs and conferences for professionals and alumni. Support from alumni, friends, and partners enhances the school’s ability to educate the next generation of professional leaders, and to achieve national distinction in both our research activities and degree programs. Endowed by the Bloustein School Alumni Association, this fellowship provides a meritorius award to a full-time graduate student annually. Gifts are used to support qualified students in graduate urban planning, public policy and doctoral programs. Merit-based aid is awarded to students in several forms. Tuition support is also provided for deserving students with demonstrated financial need. Putting our public service ethic to work, gifts provide support for several nationally recognized research centers and collaborative programs in housing, transportation, workforce development, public health, economic development, ecological balance, and social justice for the disadvantaged. If you’re interested in donating your time by sharing career advice, sitting on panels, running workshops, or partake in a number of other opportunities, please fill out the form below so we can get in touch with you! Contact the Development Department at 848-932-2904 to discuss how to make a gift, where to direct your contribution, or any other questions you may have about supporting Bloustein. Making a gift of appreciated securities is a tax-efficient method of support. Donating such stock to Rutgers can help you reduce or eliminate capital gains tax. Notify us of your plan to donate stock to using this form. Many companies and foundations sponsor matching gift programs for their employees’ philanthropic interests. These companies may be willing to double or even triple the value of charitable gifts made by employees or their spouses. In these instances, you will be recognized for the full amount of your gift plus any employer match.Contact your company’s human resource department to find out if it has a matching gift program or use our online search to see if your company will match your gift. Rutgers employees can make charitable contributions to the university by payroll deduction. To sign up, fill out this authorization form. To sign up, fill out this authorization form. To wire transfer funds to Rutgers, contact the Gift Accounting Office at 848-932-8020 for instructions. Income-Producing Gifts: Creating a charitable remainder trust or gift annuity with Rutgers can provide you and/or your loved ones with income for the duration of your lives or for a term of years. Charitable Lead Trusts: Establishing a charitable lead trust can provide an inheritance to loved ones at a minimal tax cost. Bequests: Remembering Rutgers in your will can allow you to make a more substantial gift than you might otherwise imagine possible. Noncash Asset: Assets such as real estate and retirement plans can be turned into gifts with immediate tax benefits. 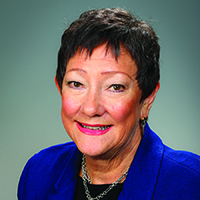 The Bloustein School welcomes inquiries about funding priorities. Please contact Jennifer Senick at 848-932-2904 or jsenick@ejb.rutgers.edu, or the Rutgers University Foundation at 848-932-7777 or RUFoundation@winants.rutgers.edu for additional information and inquiries.